When we headed to the Oregon Coast for a family drive-cation, I thought we might pay proper respects to Oregon’s fabulous wine industry. Pinot Noir country should almost require its own passport and I was hurtling towards its deep, smoky purple underbelly. Unbeknownst to me, the beer world had already made a deal with the Devil, and more specifically, the Devil’s agent — Iron Chef. The answer is clear: beer vs. wine. 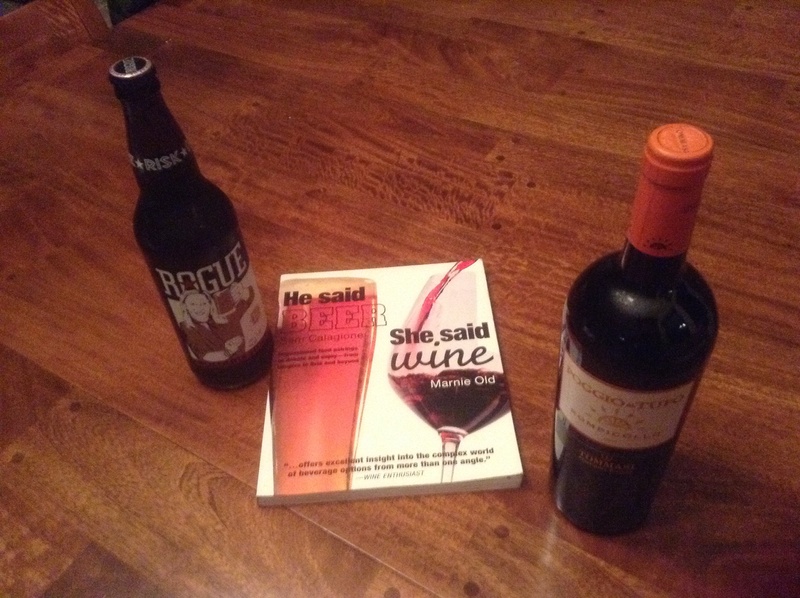 He said beer, she said wine. Divide by two and then multiply by FAMILY VALUES. That’s right, wine lovers. Beer enthusiasts have corked us. Big time. Let me tell you about it. Our family shuttled towards the Oregon Coast in December. Podunk to Oregon Coast Equation = Many miles of travel and — in a strange acknowledgement of geography and weird wilderness inconveniences — journeying through 4 Pacific Northwest states. Our layover was in Hood River, Oregon, a highly calculated move by Iron Chef given the number of breweries within walking distance of our hotel. To be fair, there are many wineries in the Hood River area. To be clear, none of them care to see you in the winter, and if they do, they hope that you leave children and pets in the car. 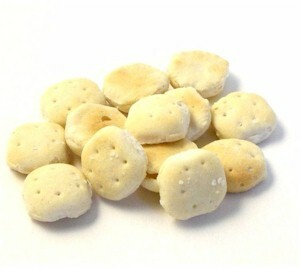 They don’t want to feed you, but if you beg, some of them, but not all, will give you oyster crackers. Meanwhile, the breweries have discovered a magical elixir that includes homemade macaroni and cheese and artisan root beer. Under this guise, in one night, children in tow, we visited Hood River’s Big Horse Brew Pub, Double Mountain Brewery, and Full Sail. In Portland, we found ourselves at the newly opened Ecliptic Brewery. In my opinion, Ecliptic had the appeal of a freshly hosed-down and modern airport lobby. Even so, their stainless steel and concrete hospitality out-competed any of the magnificent wineries in the area. Mediocre finger steaks and soda pop — advantage brewery. With my heart heavy, we drove past vineyard after vineyard, finally to arrive on the Coast where expert sorcerers like the Pelican Brewing Company in Pacific City, Oregon and the infamous Rogue Brewery in Newport reminded children why McDonald’s PlayLand really was for chumps. The Pelican boasts not just beach front, but actual sand dunes, sand dollars AND world-class pizza. For years, the Rogue has served kids’ meals on frisbees, for god’s sake. We finished up what I believe was a family-friendly trip of 8 breweries back in Hood River at a fairly young establishment called Pfriem Brewery. It is called Pfriem not because that is the sound you make when clearing your throat but because people who work there and possibly own the brewery are actually named Pfriem. But this is not the remarkable thing. 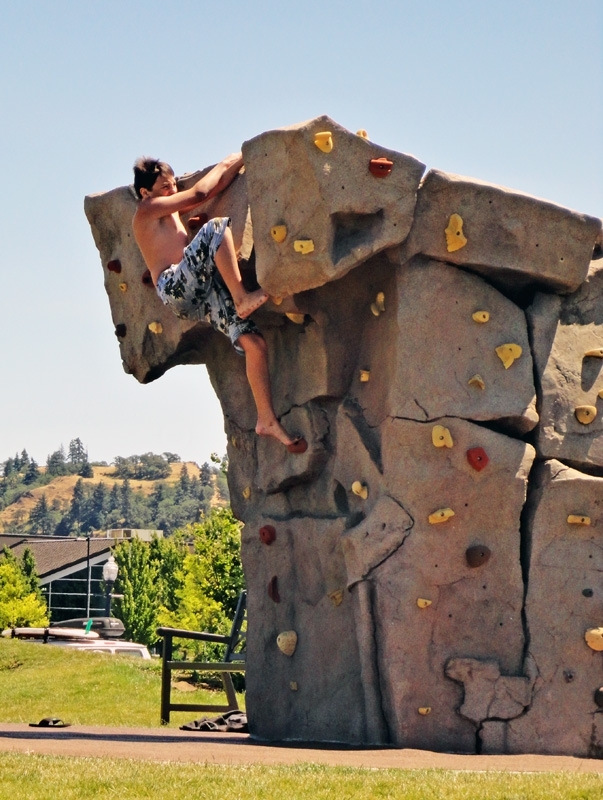 So seriously, this child begged his parents to go have a pint at Pfriem Brewery, directly across the street, so he could enjoy his young life climbing rocks next to the Columbia River. The remarkable thing is: first, the beer; and second, the fact that as young parents themselves, the Pfriems recognized that being across the street from a totally groovy kids’ park might actually be really relaxing to the parent who would just like a frosty cold one, and oh by the way, an artisan root beer and homemade macaroni and cheese for the kids who are playing in the park kind of close to the Columbia River, but not really that close when you think of it. And especially when you think of how close to the river those oyster cracker-smacking wineries would let the kids play.